Think Garfish is all about seafood? Think again. 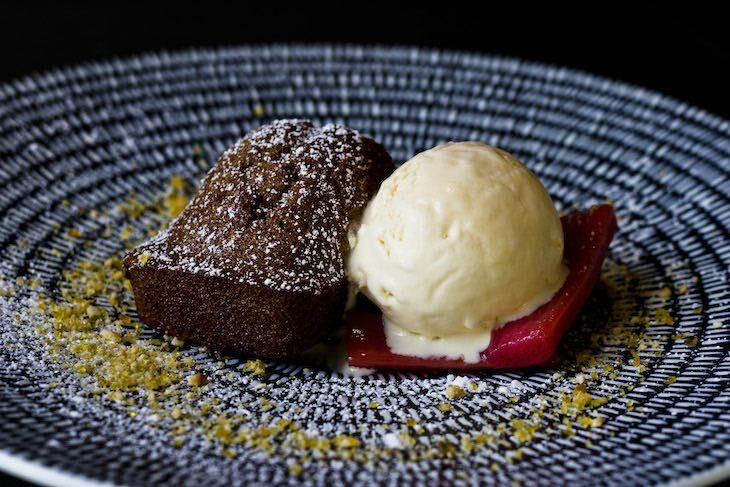 Our chefs at Garfish Manly understand the importance of comfort food, and now that winter is here they’ve created a delicious line up of winter desserts guaranteed to help you forget the cold. Chocolate lover? 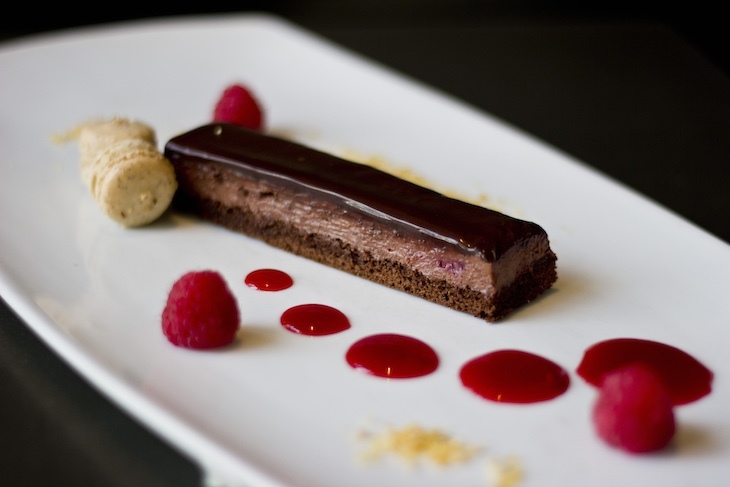 Try our dark chocolate and raspberry pave w/ hazelnut macaroon and praline this winter. Our spiced gingerbread and poached rhubarb w/ frangelico parfait and rhubarb syrup is sweet and spicy. 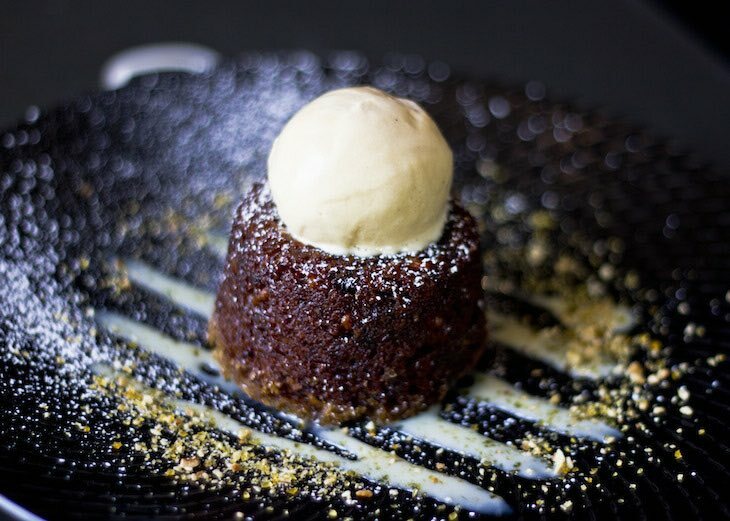 And it’s not winter without sticky date pudding: sticky date and walnut pudding w/ butterscotch ice cream and white chocolate sauce. 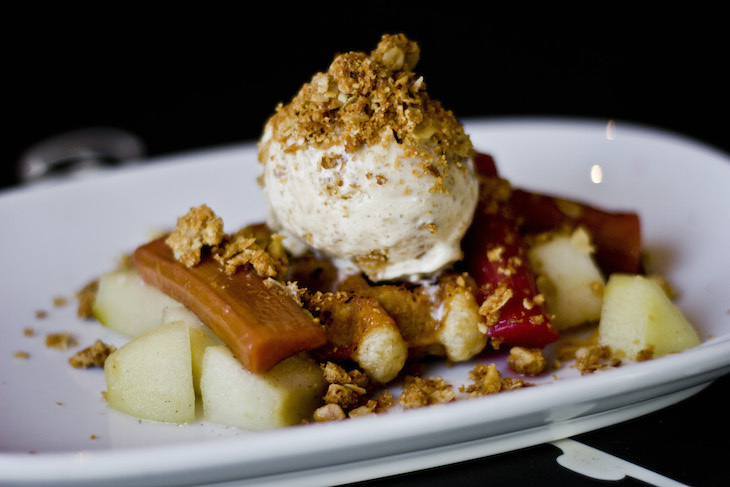 Our belgian waffle w/ apple, rhubarb crumble and gingerbread ice cream is pure comfort food. 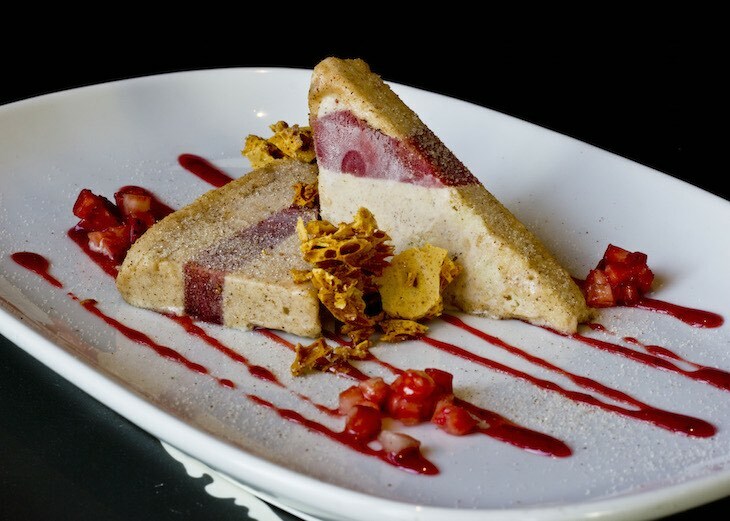 Here’s a fun dessert: ‘strawberry jam doughnut’ semifreddo w/ honeycomb and cinnamon sugar. It may not look like a dougnut but we promise you’ll love this dish for it’s sweet, doughy goodness. 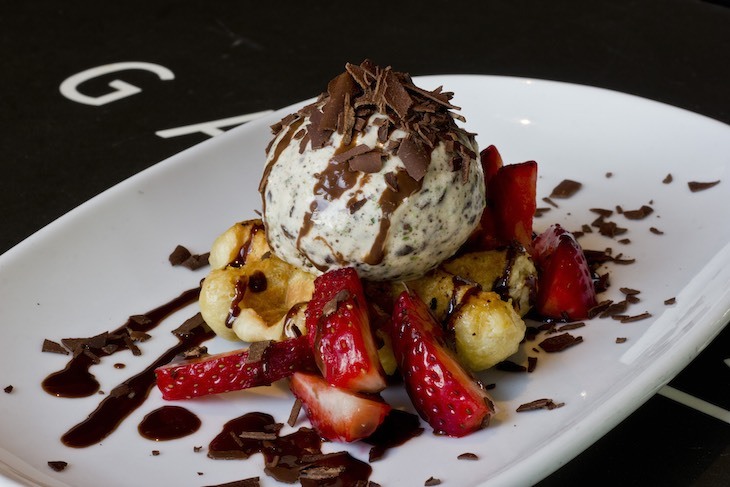 And for the grand finale, if you like a sweet, choc mint dessert, our belgian waffle w/ chocolate mint ice cream and fresh strawberries will satisfy. You can view Garfish Manly’s full winter menu here. For bookings call 02 9977 0707.